Meanwhile I did keep the walnut oil Oils, as they are practically odorless. I still love oils, it’s just no longer healthy for me to use the linseed oil version. 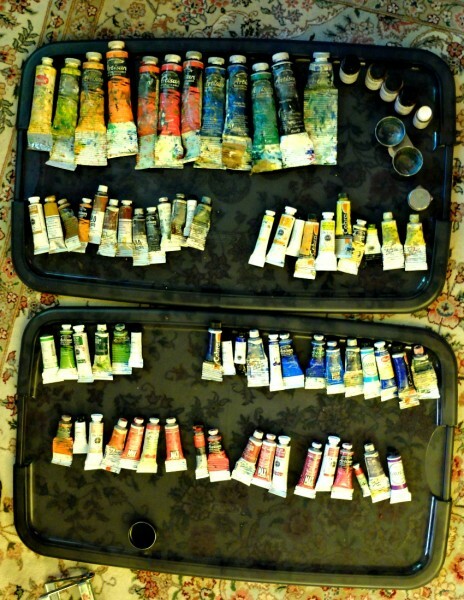 These are M. Graham – the only manufacturer of walnut oil paints that I am aware of. Do you know of others?? 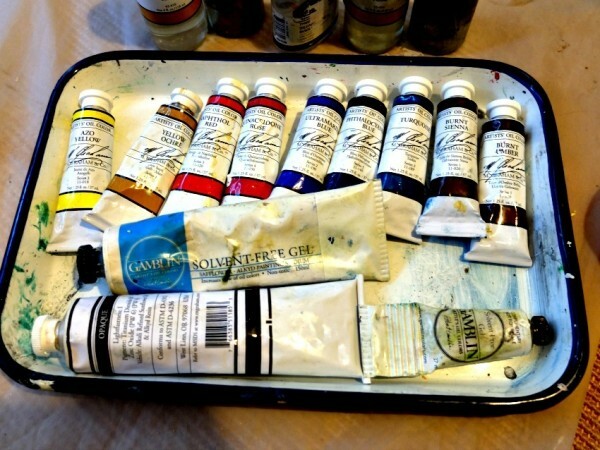 And I love Gamblin’s solvent-free gel – have you tried it? Very nice medium. For now I’m really enjoying all my watermedia – acrylics and gouache. UPDATE 2015: I eventually had to give up oils altogether in 2015 after having horrible asthma issues from the smell of the linseed oil. Back to acrylics.